1.Equipped with three drilling head, the drilling procedure finished after the work piece going through the equipment. 2. Three drilling head can drill holes simultaneously, and adopt self-controlled stroke drilling head. 3. 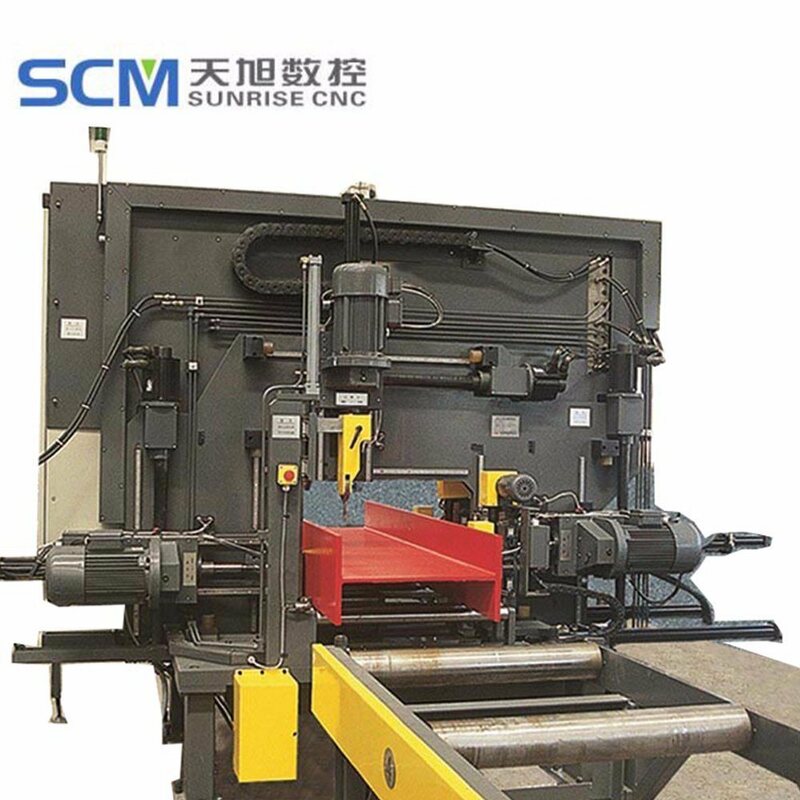 No need to set thickness of work piece and length of drilling, automatically finish the transfer of rapid feeding and work feeding, and with high efficiency. 4. CNC & PLC systems, LCD display, programming Microsoft based on WINDOWS platform, fast and convenient programming, and visual previewing. 5. Programming Microsoft is not depend on CPU equipment, can be installed in any computer to carry out programming off-site, direct copy or network transmission to the equipment to realize. 6. Each drilling head, equipped with professional main shaft speed-reducing-motor from famous products abroad. 7. Main machine, hydraulic pressure, electric components are famous products domestic and abroad. 3. Automatic feeding device with clamps in front feeding conveyors for TSWZ700. 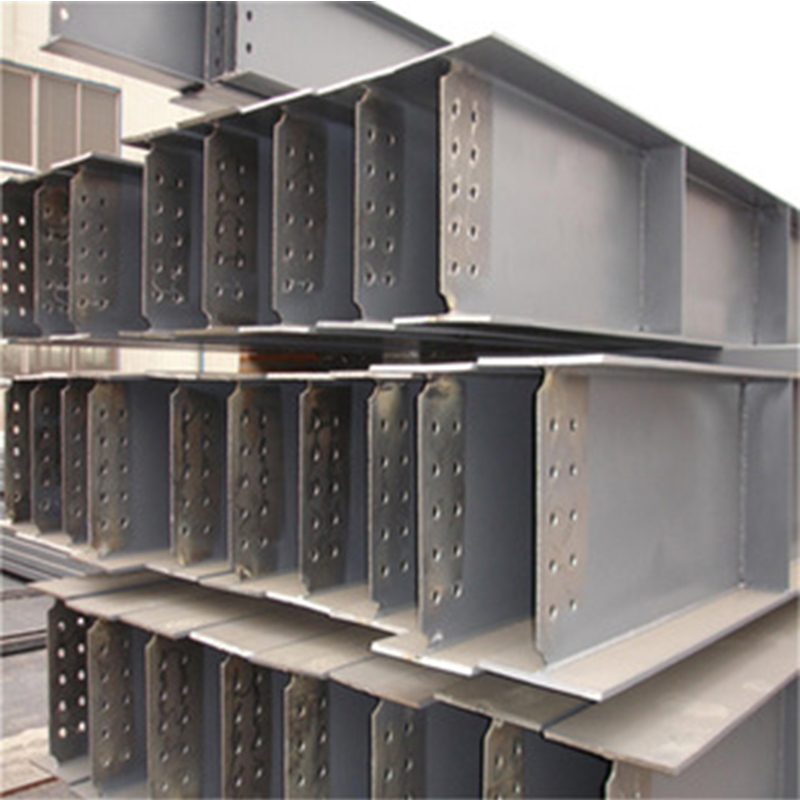 Note: The above parts are supplied by our Approved Suppliers. If encounter special situation, we will take replace with same or higher quality level parts. Looking for ideal I Beam Drilling Manufacturer & supplier ? We have a wide selection at great prices to help you get creative. 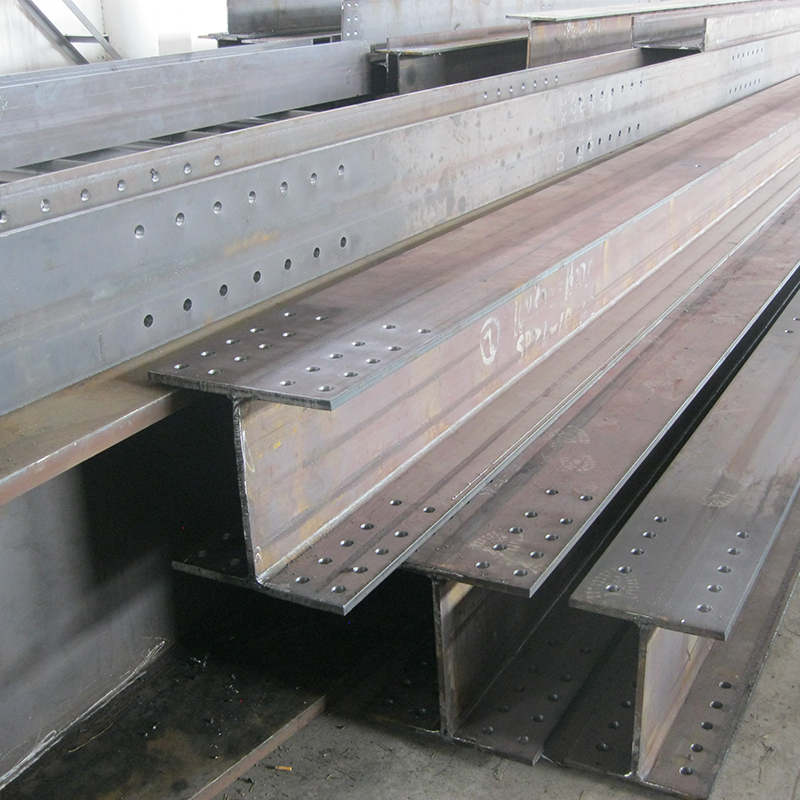 All the Channel Steel Beam Drilling Line are quality guaranteed. 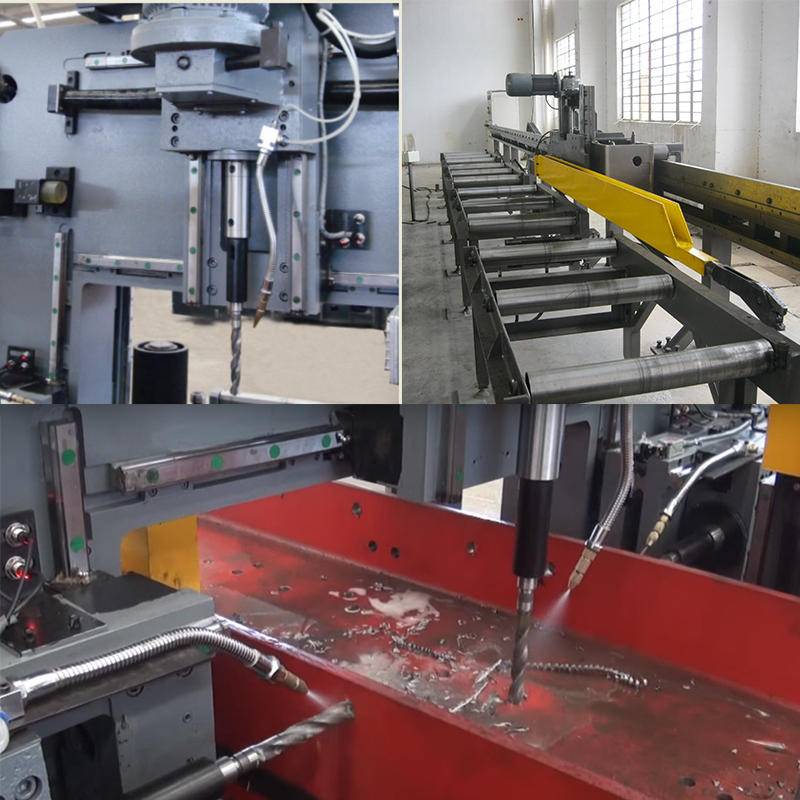 We are China Origin Factory of 3 Drills Machine. If you have any question, please feel free to contact us.